Providing an equal mix of entertaining and practical content, Yachting Monthly magazine helps instil the confidence yachtsmen need to make the most of their exhilarating hobby. Taking up yachting as a pastime is no simple feat, so for every sailor there is a Yachting Monthly magazine subscription which will help guide you on your way. Providing practical advice on seamanship, showcasing new marine equipment and featuring candid interviews with fellow sailors, Yachting Monthly is the magazine to get on board with. 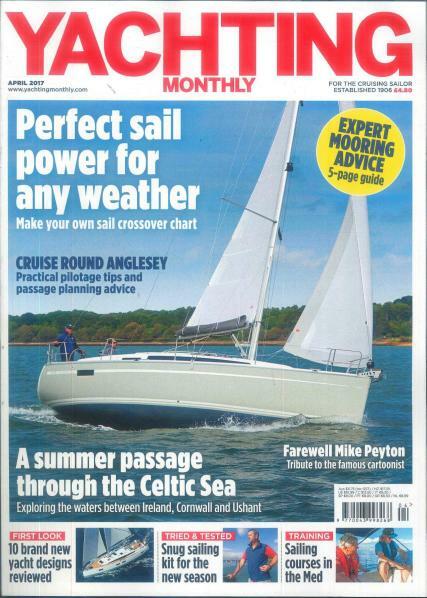 Navigate the pages of Yachting Monthly and you will discover a ‘Sailing Skills’ section and ‘Confessional’ page which will provide know-how to help you at sea from fellow yachtsmen. Those wanting to bolster their yachting package can find authoritative reports on new equipment, technology and boats themselves. Whether you like to stay close to shore or set sail for the horizon, Yachting Monthly is the go-to guide for sailors of any level and experience.